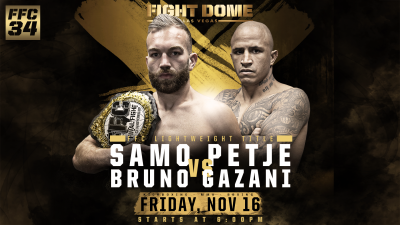 Las Vegas, NV, (November 12, 2018) – It’s going to end in either a Knockout or Submission. That is exactly what two heavyweights have guaranteed for their “FFC 34” matchup on November 16th at Fight Dome located at Caesars Entertainment’s Rio Las Vegas. 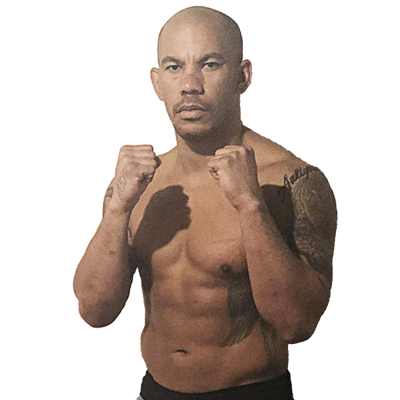 Marius Costinel Cantoneru (0-1-0) of Romania will battle Zachary Cavender, of Tooele, UT (0-0-0) who will be making his pro debut on November 16th. The good thing for fight fans is that both fighters share the same sentiment that fighters should decide the outcomes of their fights and not judges. Cavender was Undefeated (5-0) as an Amateur with four knockouts and one submission. The game plan for his Pro Debut is quite simple. As for Cantoneru, who turned pro in 2017, he is an exciting fighter who gives the fans what they want, an action-filled fight that they won’t soon forget. Both fighters are excited about fighting in Las Vegas and they boldly guarantee that their fight will provide fans with the most fireworks. It is pretty safe to say that if this fight (Cantoneru vs. Cavender) goes the distance, many of us will be thoroughly shocked. “FFC 34” gets underway on Friday evening, November 16th. Doors open at 5:30 p.m. (PST) and the first fight is scheduled for 6:00 p.m.